Read the essay below. To fully understand the context of the stories, it is necessary to know something about the author, about when he lived and what his life was like, so read the short biography of this very influential 20th Century writer, Langson Hughes. Then we will read his story about a defining moment in his life. The primary question we will explore when we discuss the story is how this incident from his own life helps to define him as the man he later became. 5. Is the thesis of the essay stated outright or implied? 6. What is the thesis of the essay? 7. How does Westley’s attitude differ from Langston’s? 7. Why can’t Langston tell Auntie Reed the truth about his experience in the church? 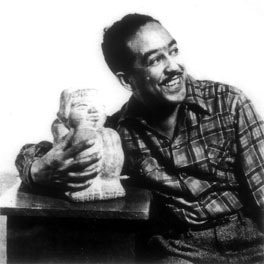 Writing Assignment: Based on your discussion of a defining moment in Langston Hughes's life and your own life's timeline with your colleagues today, select an incident from your life which is a defining moment, that is, an incident which, in retrospect, reveals something important about the person that you are, about the person you have become because of the life experiences you have had. You will write a story about this event or incident, this "defining moment" which will be drafted by the start of class on Thursday. To prepare for drafting your defining moment story, make a chronological outline of the incident and include at each phase of your chronology some of the descriptive details that you will include in the narrative in order to show your readers what happened. The parts of the essay that will "tell" about the experience are those in which you say how you felt about what was happening or what meaning you made of the incident. The great bulk of your essay will show what happened, just as Hughes and Orwell showed us the revival meeting happening and the elephant being killed. Here is the marked up and highlighted version of the essay "Salvation" following the class discussion of "showing" and "telling" elements. I have included a comment about how Hughes chooses to introduce his story, and I have underlined my "greeen light" sentences--in other words, those sentences that stand out most powerfully for me, as a reader, whether they are "telling" sentences or "showing" sentences. At the start of class on Tuesday, turn in your defining moment essay. It will be typed, double spaced, and in 12-point Times New Roman font. It will be at least two full pages in length. (Yes, it can be longer.) Indent the first line of each paragraph by 1/2 inch (i.e. press the Tab key), but do NOT add extra space between paragraphs. Ensure that your name, the due date, and the assignment (A Defining Moment Essay) is in the heading at the top of page one; and give your essay a GOOD descriptive title. Note: The title is NOT "A Defining Moment in my Life." That is the assignment. In-class: 1] Paired peer review using the GGW's Editing Checklist. 2] Revise, edit and turn in your (now) PERFECT defining moment essay. Following my step-by-step instructions about how to write a summary, draft a one-paragraph summary of the Hughes essay (appx. 150-200 words). Give this a shot. It is due at the start of class on Thursday, but we are not done with it. Don't decide NOT to draft this summary before class: You must have it with you!